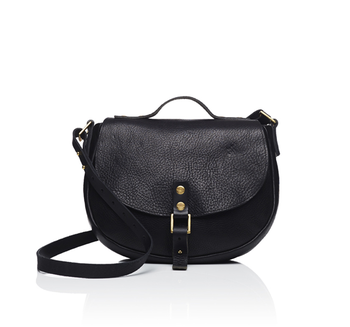 Satchel in cowhide leather in a oil tanned finish. Zippers in black and brass finish on each side is from YKK high end line. One screw stud on the bottom. 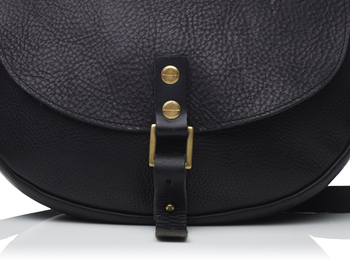 Handle and adjustable shoulder strap. Satin lining. 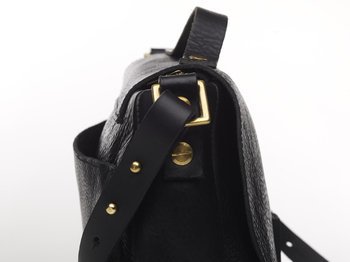 Details and hardware in solid brass as well as the buckle. Open pocket on the backside.